For the best storage options in and around Mississauga, Ontario, come to Secure Self Storage. Whether you need to store a few items or are cleaning out your house, our variety of rental unit sizes – including mini-storage options – guarantees you’ll find the perfect storage solution to meet your needs. We’re conveniently located on Summerville Court in a secure facility with 24-hour surveillance cameras and an on-site staff to help keep your items safe. And we make it easy to move in, too, with free dollies and moving trucks as well as packing and moving supplies available on-site for purchase. Storage doesn’t need to be a hassle. 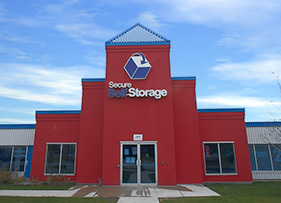 Visit Secure Self Storage in Mississauga to see how affordable and easy we make storage. Google Rating: 4.7 out of 5 stars based on ‎70 reviews.